Lindgren House, former home of the Northwestern Theta Chi chapter. After suspending its chapter in 2017, Theta Chi is now recruiting new members. 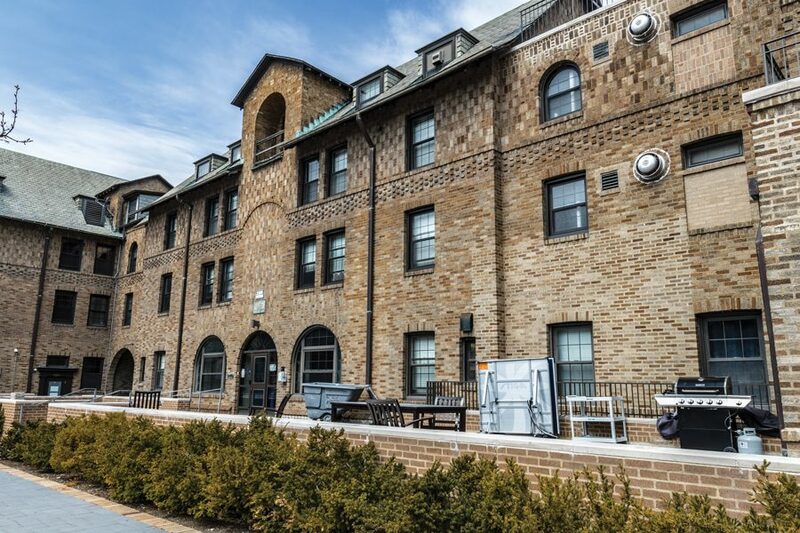 The international headquarters of Theta Chi fraternity is redeveloping its Northwestern chapter, seeking to rebound after it suspended the chapter last year. The chapter is actively recruiting until the end of Spring Quarter, Mitch Nolan, a headquarters field executive, told The Daily in an email. Members of the chapter that disbanded, however, will not be asked to participate. Johnson told The Daily last May that the chapter members asked to disband due to low membership and difficulty recruiting. Headquarters and NU’s Office of Fraternity and Sorority Life provided little support, he said, though the two governing bodies disputed that. Nonetheless, Communication freshman Nolan Robinson, who said he is one of seven new members, said the past won’t “inform” their actions. Instead, he said, the new chapter will focus on values of brotherhood, given the recent scrutiny of Greek life. Building a fraternity chapter from scratch, Robinson added, is what attracted him in the first place. Kamenica said the chapter’s immediate focus will be recruiting and reestablishing a residence, possibly the Lindgren House, where the former members lived. The current low numbers, he added, will allow the new members to form closer relationships. The return began in February, when Nolan and Colin Ogle, another field executive, began recruiting on campus. Difficulties come with every “redevelopment,” Nolan said, but so far they haven’t encountered any new problems. As a field executive, Nolan said he will offer support and education to the new members and maintain regular contact with the executive board. Headquarters will provide opportunities to attend educational programming events and interact with alumni.